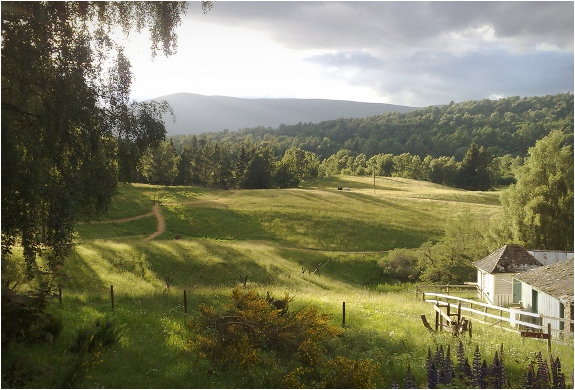 The Beer Moth is a unique accommodation in the Scottish countryside, it lives on the Inshriach House grounds, and is one of three unusual holiday options out in the woods around the property. 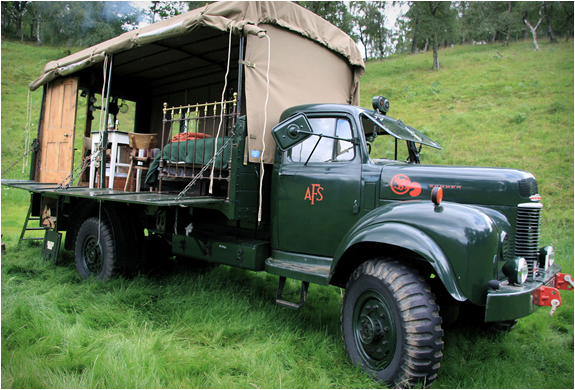 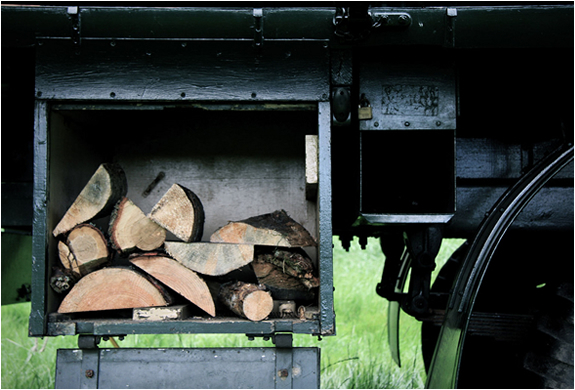 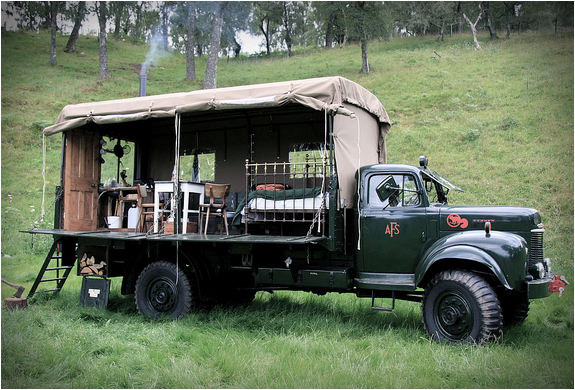 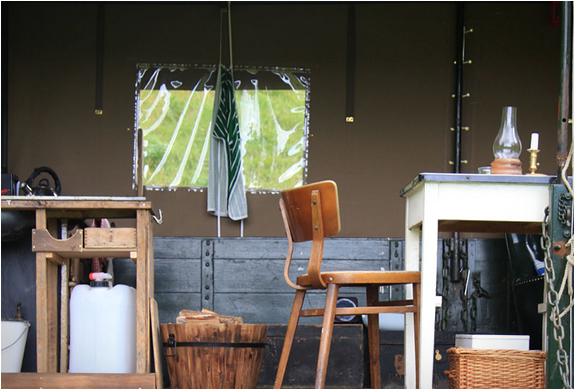 The Beer Moth, is a restored 1954 Commer fire Service truck converted into luxurious camping for two, and can be moved around the estate. 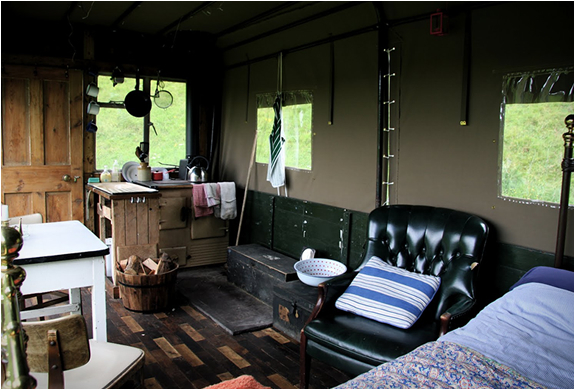 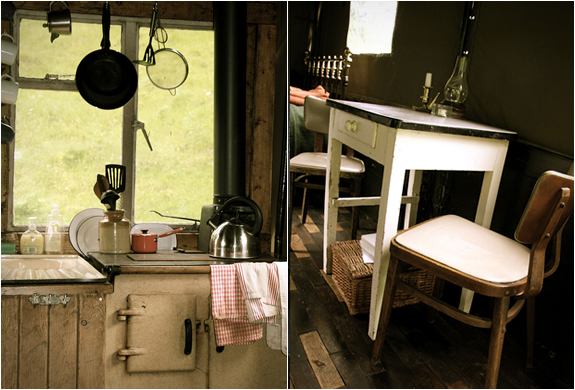 It features a tiny kitchen, oak parquet floor, a wood-burning stove, a Victorian double bed, and a side panel that rolls up offering amazing views of the surrounding natural beauty. 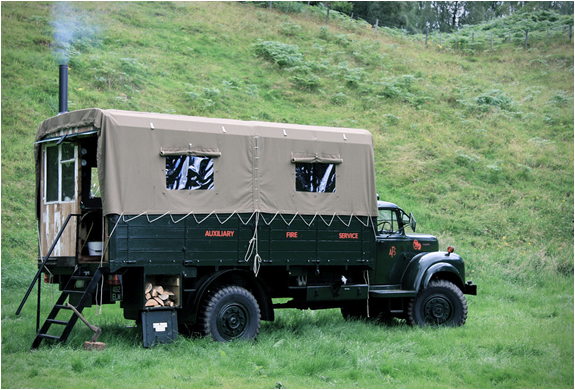 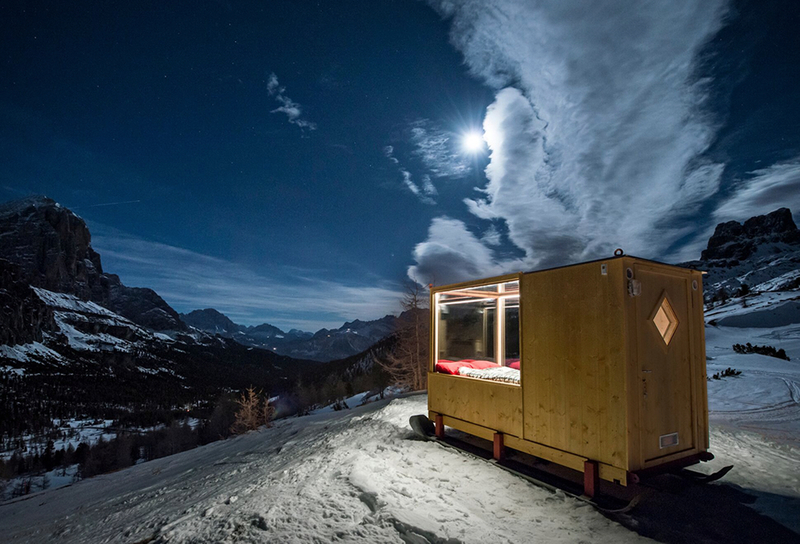 If you find yourself in Scotland you can book a stay on the cosy Beer Moth through Canopy & Stars.